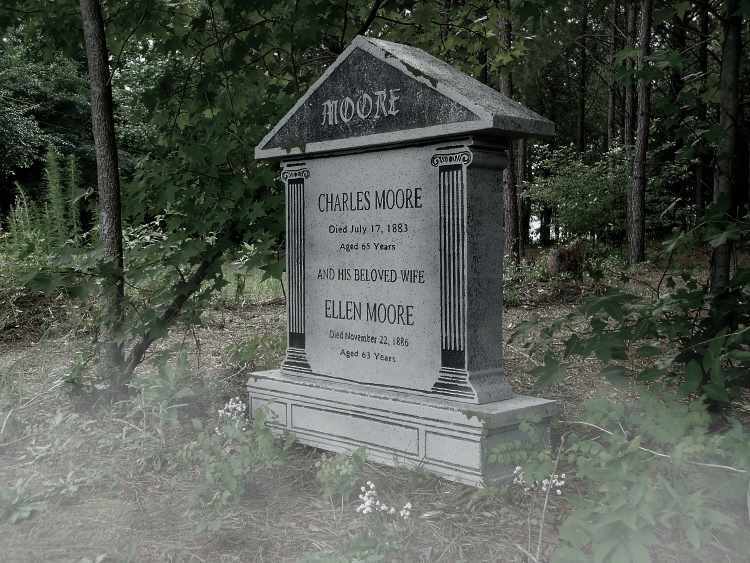 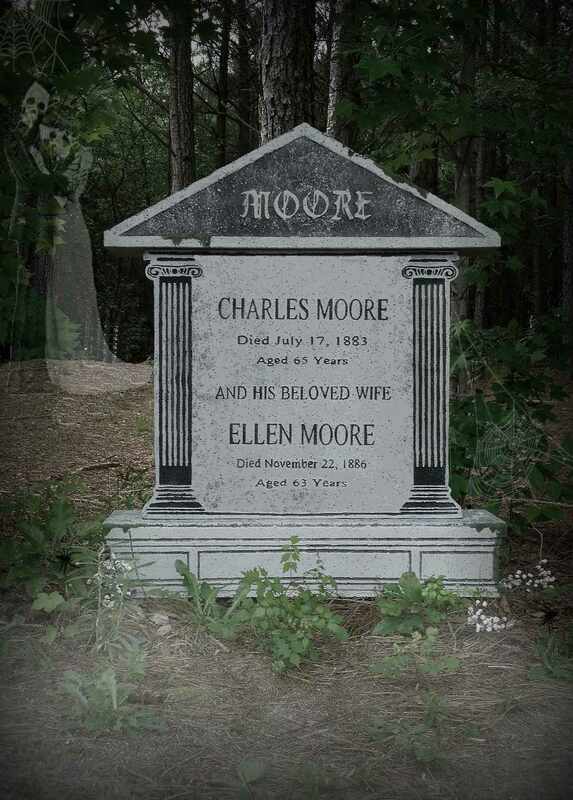 This AMAZING Moore Column Tombstone features a 3-level design. 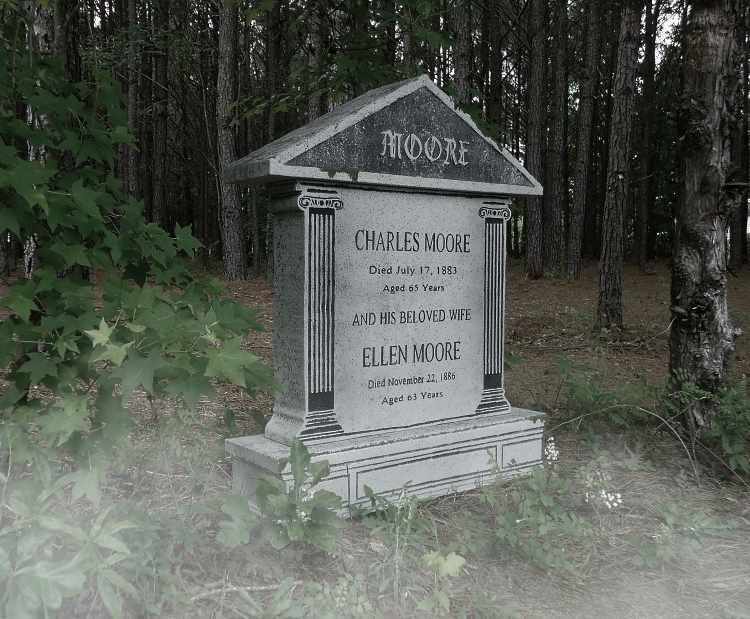 Engraved – Charles Moore Died July 17, 1883 Aged 65 Years And His Beloved Wife Ellen Moore Died November 22, 1886 Aged 63 Years. 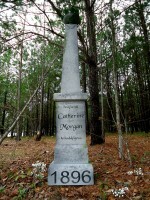 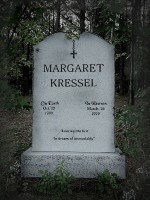 Measures a HUGE 37.5” H X 32” W X 8.75” D. Epitaph-Columns are actually engraved into each tombstone NOT stenciled.